There was a significant increase in the level of plastic recycled. 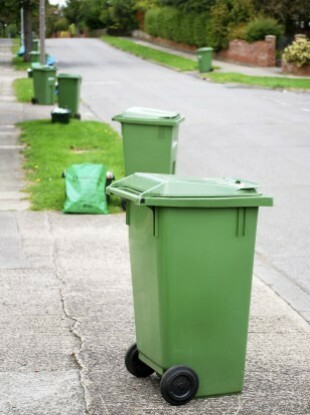 ALMOST 600,000 TONNES of packaging were recycling in Ireland last year, according to Repak. The recycling organisation said the amount of packaging recycled increased by 14,235 tonnes to 593,991 tonnes. A further 200,850 tonnes were recovered in 2016, up some 18,150 tonnes on 2015. Overall, Repak funded the recovery and recycling of almost 795,000 tonnes of packaging last year, an increase of 32,384 tonnes on the previous 12 months. Repak said there was “a significant increase in the level of plastic recycled in Ireland last year”. The group’s annual report for 2016 found that 207,000 tonnes of plastic were recycled and recovered, an increase of 23,254 tonnes on 2015 – an 86% recycling and recovery rate. Plastic recycling increased to 85,174 tonnes, a substantial increase of 12,284 tonnes on 2015. In 2016, household packaging recycling increased by 17,856 tonnes to 256,119 tonnes, a 7.5% increase on 2015. In addition to a growth in plastic recycling levels, glass recycling increased to 131,706 tonnes, a jump of 6,422 tonnes on 2015. The report also confirmed that in 2016 Repak delivered a 70% recycling rate and a 90% recovery rate – outperforming targets set by government of 65% and 75% respectively. On Tuesday, the government announced it was scrapping flat fee bin charges after criticism of this approach. Environment Minister Denis Naughten said the scheme was unfair and penalised those who recycled. Repak, which is holding its annual general meeting today, reported a financial surplus of €1.757 million for 2016. The organisation said the surplus was in part “aided by member fee income being higher than expected and direct recycling costs being lower than anticipated”. Member fee income for 2016 was €26.575 million. Clancy said 2017 is “a landmark year” for Repak as it “marks 20 years in operation as the packaging compliance scheme for Ireland”. Following a membership recruitment campaign and the coordination of enforcement with local authorities, Repak’s membership numbers grew for the first time since 2009 to 2,111 members, with 135 additional members. Fee income also grew to €26.5 million, up €1 million on 2015, with new member’s income accounting for €914,000. Repak said the member’s fee rebate scheme returned €1.149 million to members in 2016. This scheme, which was introduced in 2015, will continue this year. The rebate is principally paid on timely submission of packaging statistics and payment of invoices by the due date. Email “Almost 600,000 tonnes of packaging were recycled in Ireland last year”. Feedback on “Almost 600,000 tonnes of packaging were recycled in Ireland last year”.